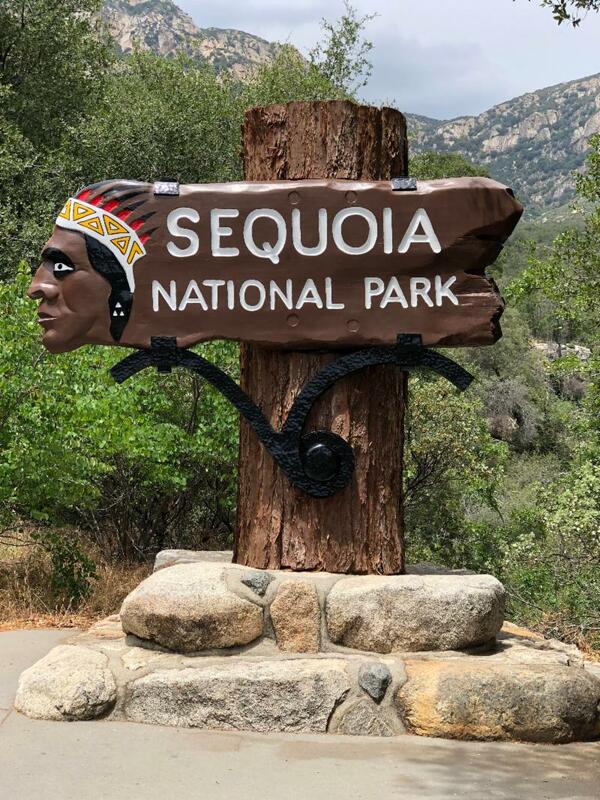 Sequoia National Park’s entrance sign, whose powerful presence greets visitors at the boundary, is back in place after almost six months of restoration. Since 1935, this sign has welcomed visitors to the nation’s second-oldest national park. Carved more than 80 years ago, the mammoth 4-foot by 10-foot sign emerged from a slab of sequoia wood, from a fallen tree that might have seen two thousand years come and go. The carver, George Muno, served in the Civilian Conservation Corps, a remarkable program that put young men to work here and in other parks during the Great Depression of the 1930s. Muno based the sign on the Native American profile on the old “buffalo” nickel, first minted in 1913. The idea of using such a profile on the park sign came from an earlier, smaller sign that also featured an American Indian man. Both signs were intended to honor Sequoyah, the Cherokee scholar whose invention of an alphabet for his language brought advances in literacy. Many believe that the giant sequoia trees were named for this historic figure. The profile, however, bears no resemblance to Sequoyah or the people of the California tribes who have lived in these lands for thousands of years and who still call them home. The profile shows a stereotype of an American Indian from a tribe of the Great Plains, not someone from the Sierra Nevada. 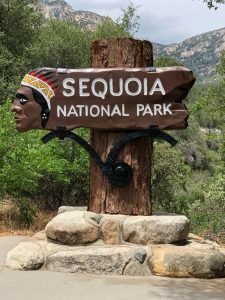 This historic sign evokes many aspects of our history—from a famous American Indian to visual stereotyping of American Indians, from hard economic times to booms in tourism, from using sequoia wood to preserving sequoia trees, to name but a few. It reminds us of the challenges and benefits, cultures and crafts, people and resources that contribute to who we are as a nation.